Sometimes we dream of ideal love. 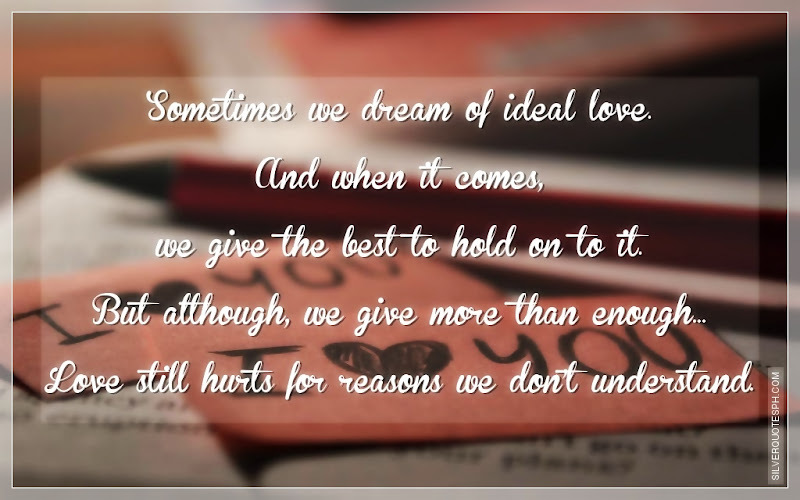 And when it comes, we give the best to hold on to it. But although, we give more than enough... Love still hurts for reasons we don't understand.